Looking for a recommended movie that’s tailored to your personal taste? Check out itcher! These movies like Birdman (Alejandro González Iñárritu, 2014) reveal what goes on between the stage door and the foyer. Are There Any Films Similar to ‘Birdman’? Former Batman (1989) Michael Keaton plays a former superhero movie star trying to break out as a Broadway actor and director, in a quest for serious dramatic work that he has always wanted to prove he can do. There’s a complication, though. His alter ego won’t leave him alone, and while he turns down the offer of a sequel, he seems to retain the character’s abilities. You can’t deny this movie has an identity all of its own, but I couldn’t help being reminded of a few other films. For more backstage drama and artistic conflicts, try these tales from the green room. As Darren Aronofsky found during research, the dance world is incredibly strenuous. In the movie, a ballet dancer in a prestigious company is caught between pressure from her former ballerina mother and the director, and loses her grip on reality in the process. It’s partly a tale of inhabiting a part and striving for something singular to the exclusion of all else, but also reveals deep problems. Black Swan visits darker places, edging on horror, but you’ll immediately recognise the format – a performer is driven by visions that the audience can’t always distinguish from reality. The big difference here is that there’s certainly something amiss, we just don’t know how far it goes. A darker variation on Birdman’s theme, as a ballet dancer is pushed into a space where she doesn’t know what’s real or only in her own mind. This easy-going adaptation of Robert Kaplow’s book imagines the powerful personality of Orson Welles from the point of view of a young actor cast in his production of Caesar. After being discovered while playing an impromptu, but faultless, drumroll on a kit outside the theatre, the teen is thrown into the tense atmosphere of the auditorium, where Welles’ impetuous behaviour rules. I’ve got to say, I found the opening scenes a little slow, but it was worth sticking it out. Things soon pick up, and there’s also a mostly instrumental soundtrack of songs like Let Yourself Go¸ which sets the scene. A more easy-going movie with true origins (and no powers, sorry), but its portrayal of actor/directors and theatre companies should interest Birdman viewers. In Johnny Depp’s first collaboration with Tim Burton, he appears in a biopic of B-movie director, Ed Wood. Martin Landau plays Bela Lugosi, portraying a friendship that mirrors Burton’s own connection with Vincent Price. Shot in black and white, it recreates the feeling of the sci fi movies its subject made, lending it an atmosphere all of its own. There’s something so unstoppably cheerful about Johnny Depp’s Ed that I can’t help but warm to him, even when he’s making a highly questionable movie-making decision. This time it’s a biopic, but both movies focus on directors trying to come to terms with personal conflict, while somehow getting their show on the road. Let’s close that stage door a moment. In our next two movies, we follow a playwright as he crafts his most renowned work, before heading to an imagining of extreme reality TV. Marc Forster’s loosely biographical movies about author and playwright J. M. Barrie covers one of his most creative periods, but closely links it with the family he famously befriended. They would inspire his work, but in the movie we also see him entertain them with his flights of imagination. Finding Neverland is more about charm, with all its Edwardian styling, and a situation that nobody can completely understand, but the way it mixed fantasy with reality should be familiar. A turn of the century setting and real flip between laughs and drama, and while Birdman’s fantastical moments often leave us unsure what to believe, Finding Neverland asks us to understand the power of make believe. A man is living a nice, tidy suburban life. Unfortunately, his entire life has been lived inside a huge television studio, and everyone in it is an actor. It’s not as unpredictable as Birdman, and there’s definitely more of a glossy finish. We’re also in on the secret that this guy is living a life he doesn’t know is just an elaborate television premise, but the conflict feels similar. How much is real and how much is constructed? The question is handled completely differently, but the ingredients of a behind the scenes view, awareness of an audience and doing something that matters are all here. When I looked back at the movies that reminded me of Birdman, I realised that each of them had created a mood all of its. Maybe that should make them less similar, but actually, that’s part of Birdman’s charm and it unites them. Feel like exploring its superhero side? Discover more movies about characters with a superpower, or Paola’s movies like Limitless (Neil Burger, 2011). 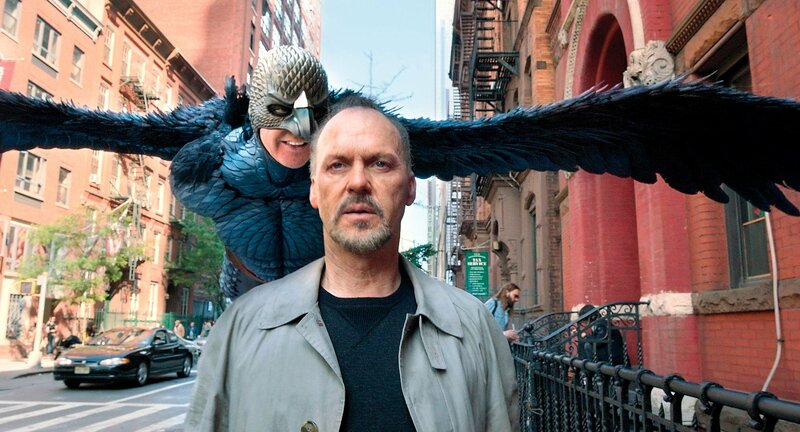 Which other films like Birdman would you recommend? Maybe it’s a movie that takes us behind the scenes of the theatre, covers the struggle between creativity and reality, or captures the mood in some other way. Add it to comments and let us know why it’s something we’re just got to see.